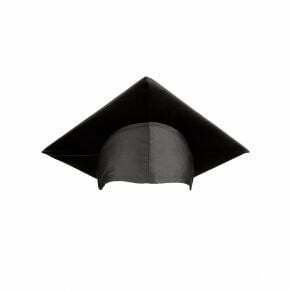 Our graduation cap for high school comes in shiny and matte is the top selling product in the category. 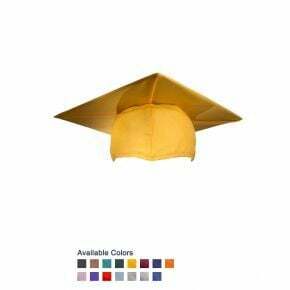 It contains a firm fitting high school graduation cap with firm mortar cardboard finish, and elegant button of top of the cap with a portion to fill in your graduation information like name and additional details. Each Cap is made of elastic fabric to fit in comfort, style, and comfortable head portion and wrinkle free fabric to keep the shiny and sturdiness. View our entire catalog for 15 elegant colors to match your graduation regalia and accessories. Graduation caps, anyone? 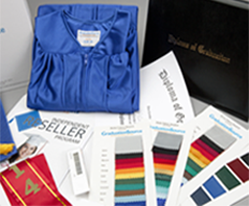 In a time when high school graduations are celebrated with equal fervor as high school and college graduations, it is no wonder why ordering high school graduation caps and gowns are becoming more and more popular. 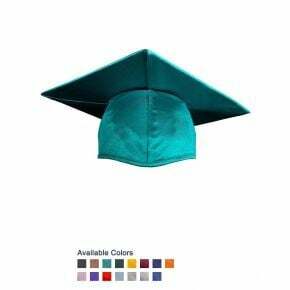 We have a complete line of elegant high school graduation caps which will be a perfect fit to your child's head. Depending on the school colors that they are required to wear, you can simply choose the right hue and decide whether you want a shiny or matte finish on the fabric, or a matte finish on the material. No matter which type and color of high school caps you end up wearing, it's important is to celebrate the occasion accordingly. Order affordable high school caps from GraduationSource now, and enjoy not just discounted prices for the items but also get high-quality materials that will last for practically a lifetime!